Masahiko Osawa, Michita Imai, and Hiroshi Yamakawa, An Implementation of Working Memory Using Stacked Half Restricted Boltzmann Machine: Toward to Restricted Boltzmann Machine-Based Cognitive Architecture., The 23rd International Conference on Neural Information Processing, pp. 342-350, Kyoto, Japan, 2016. Hiroshi Yamakawa, Masahiko Osawa and Yutaka Matsuo, Whole Brain Architecture Approach Is a Feasible Way Toward an Artificial General Intelligence, The 23rd International Conference on Neural Information Processing, pp. 275-281, Kyoto, Japan, 2016. 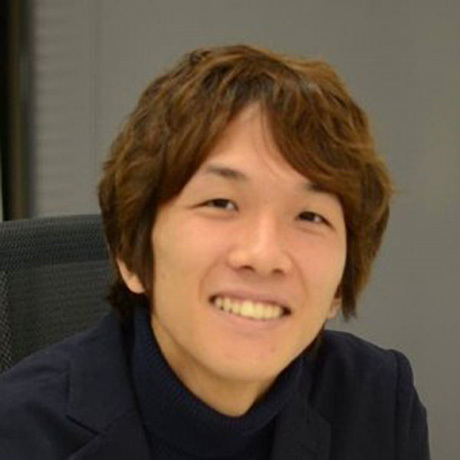 Hirokazu Kiyomaru, Masahiko Osawa and Hiroshi Yamakawa, BiCAmon: Activity monitoring tool on 3D connecome structures for various cognitive architectures, International Neuroinformatics Coordinating Facility Neuroinformatics 2016, Reading, United Kingdom, 2016. Masahiko Osawa and Masafumi Hagiwara, Analyses of Learning Characteristics of RBMs and an Automatic Method for Deciding the Number of Hidden Units, International Symposium on Advanced Intelligent Systems, F1a-5, Mokpo, Korea, 2015. Yu Yamagishi, Masahiko Osawa, and Masafumi Hagiwara, A Learning Method for Echo State Networks Using RBM, F1a-3, International Symposium on Advanced Intelligent Systems, Mokpo, Korea, 2015. 上乃聖, 大澤正彦, 今井倫太, 加藤恒夫, 実世界で動作する強化学習ロボットを目指して-学習環境Re:ROSの試作, 第4回汎用人工知能研究会, 2016. 小川早紀, 大澤正彦, 萩原将文, Deep Learningを用いた色の印象推定システム, 日本感性とあいまい研究部会, 2015. 大澤正彦, 萩原将文, 中間記憶から長期記憶への転送モデル, 第25回神経回路学会全国大会, pp. 46-47, 2015. 山岸優, 大澤正彦, 萩原将文, RBMを用いたEcho State Networkの結合荷重決定法, 第25回神経回路学回全国大会, pp.94-95, 2015. 大澤正彦，萩原将文：“RBMにおける未学習データ検出法の提案と追加学習への応用，” 電子情報通信学会ニューロコンピューティング研究会，信学技報, vol.114, no.259, NC2014-118, pp.283-288. 大澤正彦，萩原将文：“RBMの学習特性の分析と隠れ層ニューロン数の自動決定法，” 電子情報通信学会ニューロコンピューティング研究会，信学技報, vol.114, no.259, NC2014-22, pp.7-12, 2014.